WordPress has just announced the official release of version 2.7 (codenamed Coltrane) of their blogging / content-management system. I’ve just upgraded both this site and the DataSwift one to the latest and greatest, with -so far- no issues at all! The administration interface (known as the Dashboard) has been completely redesigned and is now a lot more customisable. It should also reduce the number of steps involved in carrying out everyday tasks. Somehow, despite a somewhat less than perfect start, we all managed to survive and even enjoy the weekend that was Dan’s Stag Do. 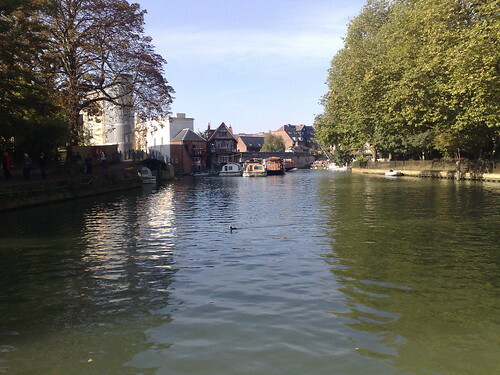 I’ve got a bunch of photos over on Flickr, but here’s one of the Thames, taken from our canal boat on Sunday.